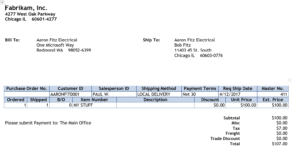 An often-overlooked option is to add comments to SOP Documents in order to print additional information on the document. Which will print on the document without additional effort. 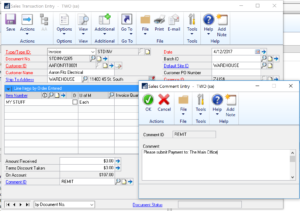 As an additional plus, default comments can be set for each SOP type used allowing for the text to be added without user intervention and be unique for different business needs. Dynamics GP has many options available to provide solutions to simple as well as complex business needs. Informed Systems can help you explore your options to find the solution that’s right for you. Contact us today via email or call 610-980-9840 for more information.